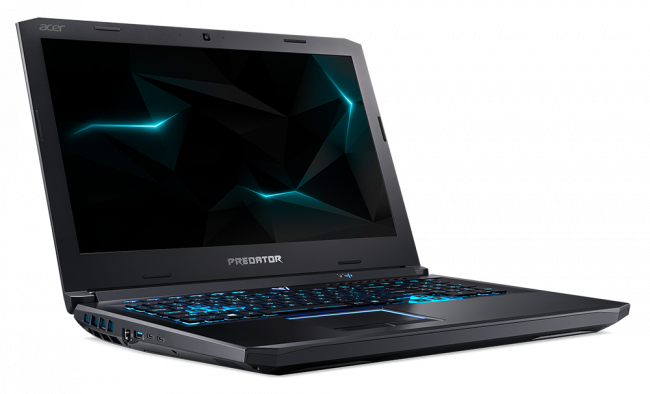 Acer has launched the brand new Predator Helios 500 gaming notebook, in India. It features top of the range processor and is claimed to have VR-Ready performance, advanced thermal technologies, and blazing-fast connectivity. The Predator Helios 500 features up to overclockable 8th generation Intel Core i9 8950HK with Nvidia GTX1070 8GB Graphics or AMD Ryzen 7 2700 with AMD Vega 56 Graphics. Intel Optane memory increases responsiveness and load times, while ultra-fast NVMePCIe SSDs, Killer DoubleShot Pro networking, and up to 64GB of memory makes the Helios 500 the ideal gaming notebook for graphic-intensive AAA titles and live streaming. For cooling, this notebook comes with Acer’s proprietary AeroBlade 3D metal fans, and five heat pipes that distribute cool air to the machine’s key components while simultaneously releasing hot air. Fan speed can be controlled and customized through the PredatorSense app.